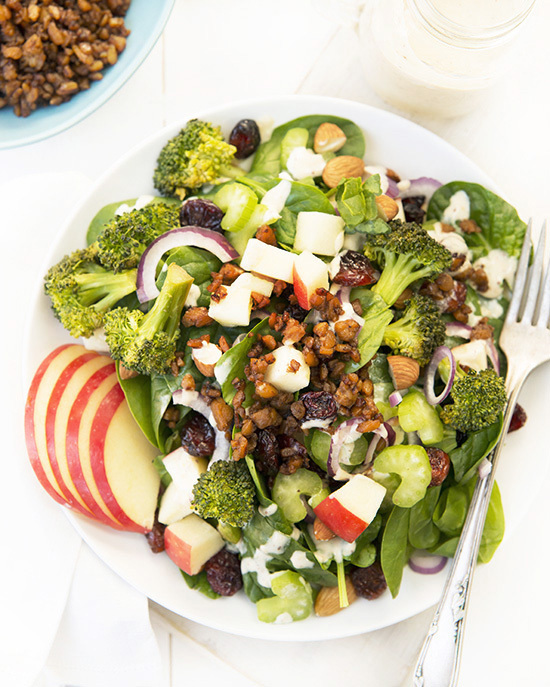 A Dash of Compassion » Kristy’s roasted broccoli & apple salad with lemon-tahini dressing + a giveaway! This post has been a long time coming. It’s hard to believe it’s April already and I have yet to share my review of this ingenious and very beautiful cookbook with you. 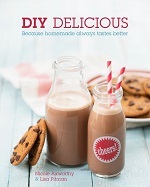 Kristy Turner’s debut cookbook was released shortly before Christmas and I’ve been enjoying it ever since. Let’s chat about what this book has to offer, shall we? 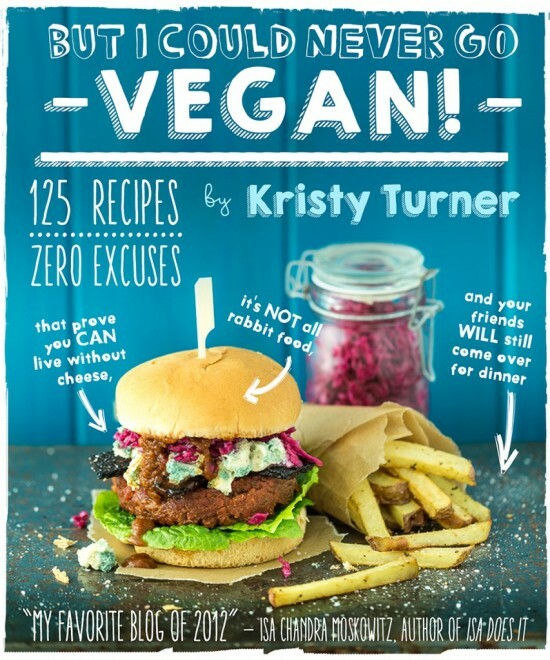 I should start off by saying Kristy’s book has, quite possibly, the best title ever: But I Could Never Go Vegan! 125 Recipes That Prove You CAN Live Without Cheese, It’s NOT All Rabbit Food, and Your Friends WILL Still Come Over for Dinner. Do you think that’s even possible? There was a time in my life when I didn’t. I ate bacon and eggs for breakfast, smothered cream cheese on my bagels, and devoured fat-free yogurt by the tub. I really gave no thought to where my food came from. But I’ve been vegan for 15 years now and I must say, quite honestly, that it was the best decision I’ve ever made. Luckily, with books like Kristy’s, replacing the animal-based foods you love and are used to is easier than ever. Here, she re-creates the dishes people have on their “can’t live without” lists and proves how simple, delicious and wide-ranging plant-based cooking can be. Just like her popular blog, Keepin’ It Kind, Kristy’s book is a treasure trove of flavourful recipes interspersed with entertaining personal stories, cheeky humour and a very warm-hearted tone. Her creativity shines through here, not just in the recipes but also in the organization of the book. 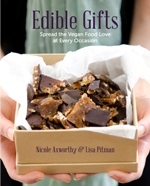 Rather than recipes organized by course or season, these are broken down into chapters of excuses for not going vegan, including Where’s the Beef?, Tofu Doesn’t Taste Like Anything, It’s All Rabbit Food, But I Hate [Insert Vegetable Here], and Wait, Is Chocolate Vegan? The ultimate in food activism, this is the kind of book I would want to hand out every time I heard “Where do you get your protein?” or “But I could never give up cheese!” because it’s better to be shown rather than told that you can live a filling and very satisfying life (and even enjoy pizza and ice cream!) without consuming animal products. You won’t miss the beef after biting into Kristy’s Thai seitan satay with spicy peanut dipping sauce. And you won’t be able to say tofu doesn’t taste like anything when there’s creamy mushroom fettuccine alfredo to enjoy, or that it’s all rabbit food after making the impossible cheeseburger pie or the beer-battered faux fish and chips. Think you can’t bake without butter and eggs? Try the salted caramel peanut butter bars or the molasses-hazelnut chocolate mousse tart with coconut whipped cream on for size. 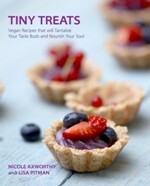 Vegan or not, there is something for everyone in this fun cookbook. Plus, photos by her talented husband, Chris Miller, accompany almost every recipe and also include useful step-by-step photos when necessary. Since receiving a review copy of this book, I’d had a chance to try out a number of recipes, including the bean and rice freezer burritos, the mushroom grilled cheese sandwich with sunflower cheddar, the Mexican hot chocolate fudge, as well as this colourful roasted broccoli and apple salad with lemon-tahini dressing (find the recipe below!). 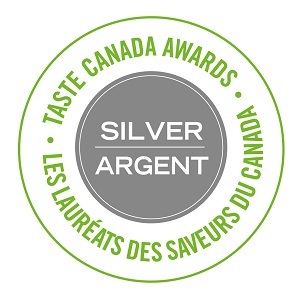 While many of Kristy’s recipes are multiple steps or require more than one recipe, you are awarded with filling and flavourful meals, all while learning some new tricks, flavour combinations and time-saving methods along the way. All the recipes I tried were delicious, and while I did have a bit of trouble with the sunflower cheddar the first time I made it, Kristy soon realized there was a typo in the recipe (it happens!). I made it again and it worked like a charm. Grab a copy of the book (or enter to win a copy below!) and, if you have a hard time deciding what to try first (I sure did), her cheese recipes are magical, as is her incredible fudge. Or, try this salad from the Just Thinking About Salad Makes Me Yawn chapter of the book. Thank you, Kristy, for sharing your creativity and compassion with the world through this book. Preheat the oven to 400°F. Line two baking sheets with parchment paper or silicone baking mats. Chop the broccoli into small florets and slice the stems thinly. 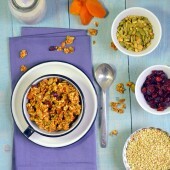 Place in a bowl and toss with the tamari and maple syrup. Add the nutritional yeast and toss again. Spread the broccoli on the prepared baking sheets. Bake for 20 minutes, tossing once halfway through to ensure even cooking. Remove from the oven and let cool for about 5 minutes. Meanwhile, in a small bowl or cup, use a fork to whisk together the dressing ingredients. Set aside. If you are using the Tempeh Bacon, cook the crumbles now. 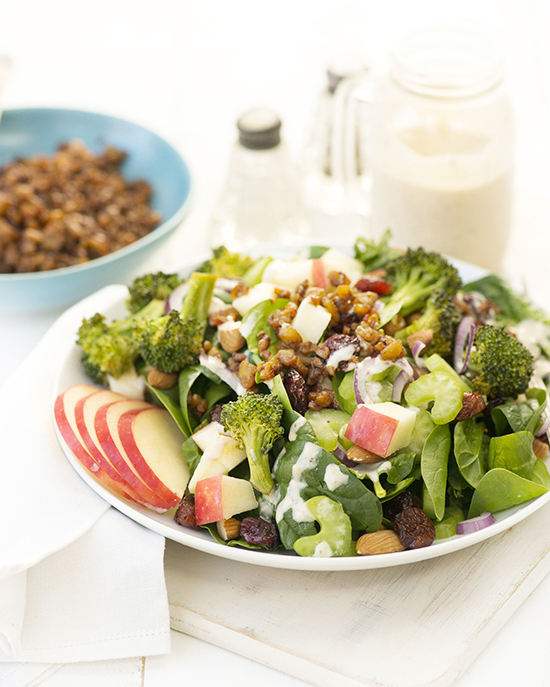 Place the cooled broccoli in a large bowl and add the spinach, apples, celery, onion, dried cherries, and almonds. Toss until fully combined. Divide the salad among serving bowls. 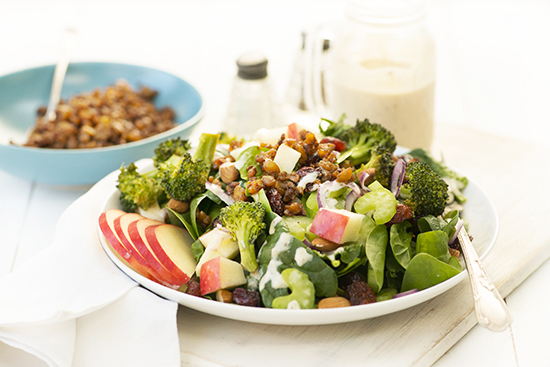 Drizzle with the dressing and sprinkle the Tempeh Bacon on top, if using. Variations: To jazz up the salad a bit, try marcona almonds (a sweeter, plumber type of Spanish almond). If you’re in a rush or want to lighten up the salad, skip roasting the broccoli. Instead, steam for about 5 minutes and rinse in ice-cold water. Dry it off and it’s ready to use! Recipe from But I Could Never Go Vegan! © Kristy Turner, 2014. Reprinted by permission of the publisher, The Experiment. Thanks to my friends at The Experiment, I have the opportunity to gift a copy of the book to one ADC reader! This giveaway is open to residents of the US and Canada. Enter using the Rafflecopter widget below and I’ll choose a random winner on Friday, April 10, 2015. Good luck! My (least) favorite excuses are definitely “but protein!” and “but cheese/ice cream!” I get 80+ grams of protein a day on a completely plant-based diet; cow milk is for baby cows; Treeline and Coconut Bliss are way better than any dairy. Any time someone names one food and says they couldn’t go vegan because “cheese” or “bacon” or “my mom’s cookies” or whatever, I quickly suggest, “Why don’t you go all vegan except for that then?”. People far too readily embrace dichotomies instead of a spectrum. What a great title for a book! I don’t think I have a least favourite excuse — I think we’re all on our own journeys trying to do right by ourselves and the world. But great resources like this can sure help us all do a little more good! I think my least favourite excuse is “it must be way too hard!” – well, you won’t know for sure if you don’t even try! There might be a learning curve, sure, depending on where you’re starting from, but it might not be as bad as you thought it would, you don’t have to do it all at once either, and it’ll soon get easier as you find your beat and start discovering new ingredients and new recipes. I can’t give up cheese! My yoga instructor tells me that all the time. “But I could never go vegan, because I can’t give up eggs!” Pet peeve. I can’t tell you how many times I thought I could go vegan because I couldn’t give up cheese! But now that I have, I don’t even miss it! My least favorite is: “Because I love food too much!” or “Because I need a lot of protein!” Spare me. I guess calling it my “favorite” excuse is the exact opposite of the truth… but it just bugs me so much when people say “I like cheese too much,” or “I like meat too much.” It’s so heartbreaking that people choose their tastebuds over the lives and treatment of so many innocent creatures. Especially since it turns out that living as a vegan is so totally awesome and delicious and morally rewarding. 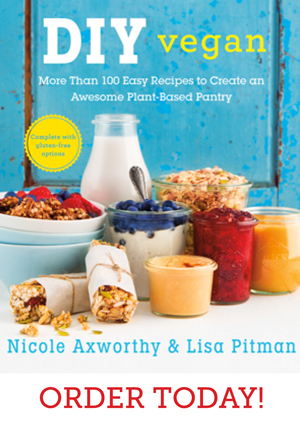 MY (least) favorite excuse is that vegan’s can’t eat enough protein- so many recipes in this book are loaded with healthy, plant-based protein. I am especially excited to try that Mexican hot chocolate fudge, because I love chocolate and spice. There’s nothing left to eat! “What do you even eat? ?” UGH! That salad looks insanely gorgeous! I can’t cite a least favourite excuse persay, but it does bother me when people say things like “but producing eggs/cheese/milk/butter doesn’t involve killing the animal.” Like I didn’t know that? Too often omnivores respond to the discovery of vegan by trying to defend their own diet. I don’t do this to insult people. Luckily though I have met more understanding omnivores than I have close-minded ones!